A Bermuda team led by captain Elizabeth Carpio is heading to Miami Trump National Doral Golf Club for the 40th Kitty Michael International Invitational Tournament. Team Bermuda will be looking to defend their Kitty Michael International Invitational Golf Tournament Low Gross Division title they won in St. Croix, last year. The 2017 Bermuda team of Valerie Nearon, Katrin Burnie, Katyna Rabain, Cindy Radzlaff, Ann Symonds, Tracy Burgess, Liz Carpio Kathy Lloyd-Hines finished 14 strokes ahead of Puerto Rico, they would also finish in second place overall in Low Net Division. 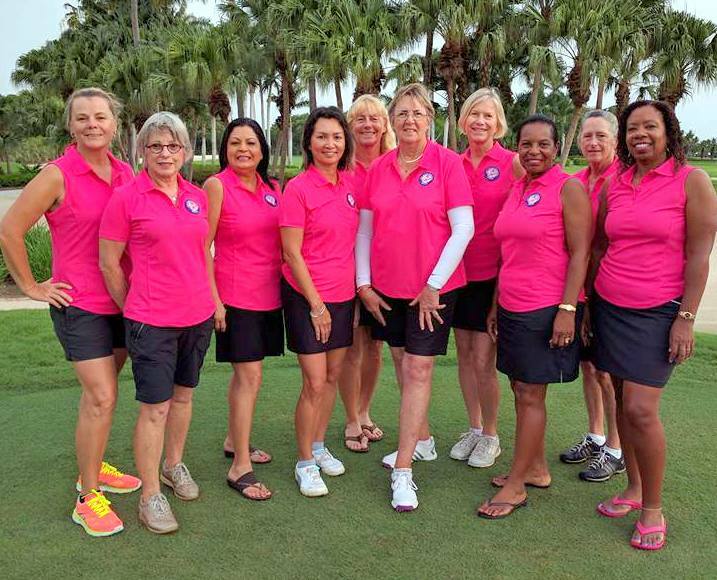 The Annual Tournament will held from May 6th to 11th, the Bermuda team also includes vice-captain Katrin Burnie, team members Valerie Nearon, Kathy Lloyd-Hines, Tracy Nash, Tracy Burgess, Ann Symond, Linda Down, Elaine Parker-Frost and Cindy Ratzlaff. This year there are 11 teams participating in the tournament including Puerto Rico, St Croix, Southeast Florida, Southwest Florida, New Jersey, Montreal, Toronto, Puerto Rico, Guardelope, Panama.